Anthony Trecek-King is leader of the Boston Children’s Chorus. When Seraphic Fire takes the stage tonight at St. Gregory’s Episcopal Church in Boca Raton for a concert called I Have a Dream, they’ll be doing more than bringing attention to the vital literature of the African-American spiritual tradition. In addition to such beloved examples of black American sacred folksong as “Joshua Fit the Battle of Jericho” and “Go Down, Moses,” the concert will feature newly written works by contemporary African-American composers Trevor Weston and Marques Garrett, as well as pieces by female black composers such as Florence Price, whose life and work has been getting long-overdue attention in recent years. 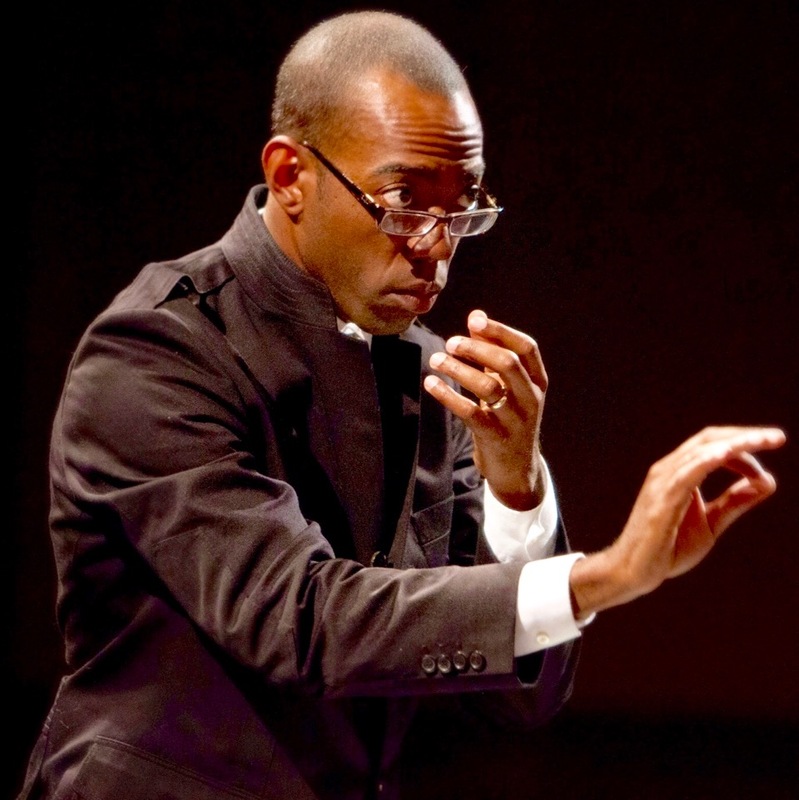 “I wanted to follow the music of black composers from essentially the 1860s and 1870s to today … so that we can see that the legacy of black composers is alive and thriving,” said Anthony Trecek-King, who is conducting Seraphic Fire in this week’s concerts. He asked his two commissioned composers not to write spiritual arrangements so that the audience could discover “the depth and array” of black composition outside the older tradition. The program holds 20 songs, about half of which are spiritual arrangements, he said. With the exception of two of them (Lewis Allen’s “Strange Fruit” and Norman Luboff’s arrangement of “Joshua Fit the Battle of Jericho”), all of the works were composed or arranged by black Americans. The same goes for the pioneering Canadian-American composer R. Nathaniel Dett (1882-1943), represented here by his arrangement of the spiritual “Hew ’Round the Tree” but also his sacred motet Listen to the Lambs. All this music deserves to be in the regular aural diet of Americans, he said. “For me, it’s just something that should be part of the canon. Nowadays, people in choral music, they know Moses Hogan, but do they really know William Dawson, or [Francis] Hall Johnson or [Harry] Burleigh?” he said, adding that Hogan’s popular spiritual arrangements are not included on this program. But Burleigh’s arrangement of “My Lord, What a Morning,” is, and Trecek-King finds the first eight bars of that piece among the most beautiful of all such arrangements. The African-American contribution to the nation’s music has been immense, in particular in today’s popular music field. But in the centuries before emancipation in 1865, enslaved Africans had a strong corpus of folksong, often drawing on European church hymns but repurposing those ideas to say something profound about their condition of servitude. And while minstrel shows of the early and mid-19th century mocked the music of African-Americans at the same time it arguably celebrated it, the music of the spiritual tradition won a life on the concert stage with the formation in 1871 of the Fisk Jubilee Singers, an all-black concert group at Nashville’s Fisk University that toured the country and whose current iteration is still active and performing at Fisk. The Fisk tradition is “very dignified,” Trecek-King said, and some of the program will be done in that style. But for other selections, he wants to “deconstruct the music and put it back in the field,” in an attempt to connect the audience to the original home of the music on a slave plantation. Trecek-King (pronounced TREE-seck-King), 43, the son of an Air Force officer, grew up on several airbases, including in Germany, but primarily spent his youth in North Dakota and Nebraska. He earned his bachelor’s in cello performance from the University of Nebraska-Omaha, a master’s in orchestral conducting from Florida State University, and a doctorate in choral conducting from Boston University. And while he was an instrumentalist for his undergraduate degree, he found himself being pulled in the direction of choral music while learning to be a good string player. “I never stopped doing choral music. It’s always been a part of who I was as a musician,” he said. Since 2007, he has led the Boston Children’s Chorus, a group whose stated mission along with music is to unify the Massachusetts capital’s diverse communities and advance social justice. The BCC, which actually operates 13 different choirs, has enjoyed wide critical acclaim. “The unique thing about the Boston Children’s Chorus is that we use music as a catalyst to create social change,” he said, and he discusses the context of the music with his young charges, as indeed he did in rehearsal with the members of Seraphic Fire. Trecek-King said he had been talking to Seraphic Fire founder Patrick Dupré Quigley for about a year about doing a concert devoted to this music at this time of year to coincide with the commemoration of the birthday of civil rights leader the Rev. Martin Luther King Jr.
And both the spirituals and the black American classical pieces were created in a country that has some work to do on itself, he said. He will tell the audience tonight that “you should be deeply disturbed and uncomfortable with some of this music, and that’s part of the journey. There’s going to be part of the program where you’re going to say ‘I’m not sure I’m comfortable with this,’ and that’s perfectly OK, that’s what I want to have happen. Seraphic Fire performs at 7:30 tonight at St. Gregory’s Episcopal Church in Boca Raton. The same program can also be heard Friday night at First United Methodist in Coral Gables, Saturday night at All Saints Episcopal in Fort Lauderdale, and Sunday afternoon at the South Miami-Dade Cultural Arts Center in Cutler Bay. Tickets are $60; call 305-285-9060 or visit www.seraphicfire.org.